This is a quick update to my post about a year ago, with details on how to mine Twitter streams in real-time using PHP. This new code includes updates for the v1.1 API, including authentication using OAuth. 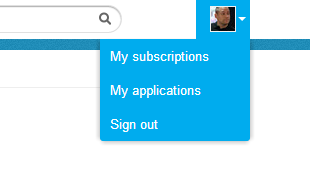 “My applications”, and create a new application if you don’t already have one. Select the option to create the access token as well, as the requests need to be signed by a Twitter account. // generate a nonce; we're just using a random md5() hash here. rawurlencode('oauth_consumer_key=' . $this->m_oauth_consumer_key . '&' . 'oauth_nonce=' . $this->m_oauth_nonce . '&' . 'oauth_signature_method=' . $this->m_oauth_signature_method . '&' . 'oauth_timestamp=' . $this->m_oauth_timestamp . '&' . 'oauth_token=' . $this->m_oauth_token . '&' . 'oauth_version=' . $this->m_oauth_version . '&' . $secret = rawurlencode($this->m_oauth_consumer_secret) . '&' . $oauth = 'OAuth oauth_consumer_key="' . $this->m_oauth_consumer_key . '", ' . 'oauth_nonce="' . $this->m_oauth_nonce . '", ' . 'oauth_signature="' . $this->m_oauth_signature . '", ' . 'oauth_signature_method="' . $this->m_oauth_signature_method . '", ' . 'oauth_timestamp="' . $this->m_oauth_timestamp . '", ' . 'oauth_token="' . $this->m_oauth_token . '", ' . // then reconnect, because it's possible something went wrong. The “process_tweet()” method will be called for each matching tweet- just modify that method to process the tweet however you want (load it into a database, print it to screen, email it, etc). The keyword matching isn’t perfect- if you search for a string of words, it won’t necessarily match the words in that exact order, but you can check that yourself from the process_tweet() method. You’ll need to provide the Consumer Key, Consumer Secret, Access Token, and the Access Secret, all of which are available from the Details section of your Application. This new class uses the PHP hash_hmac() function for OAuth, which is available only in PHP 5.2.1 and up, and in the PECL hash extension 1.1 and up. This entry was posted in Development and tagged development, PHP, twitter on 2013/06/03 by mike. UPDATE: I’ve wrote a new post with an example on how to connect to the v1.1 Twitter API, using OAuth – here. 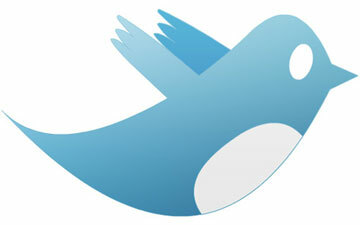 Need to mine Twitter for tweets related to certain keywords? Twitter provides a pretty simple streaming interface to the onslaught of tweets it receives, letting you specify whatever keywords you want to search for, in a real-time “live” way. Just provide your twitter account username/password, and then an array of keywords/strings to search for. Since this application runs continuously in the background, it’s obviously not meant to be run via a web request, but meant to be run from the command line of your Unix or Windows box. According to the Twitter documentation, the default access level allows up to 400 keywords, so you can track all sorts of things at the same time. If you need more details about the Twitter streaming API, it’s available here. This class uses the HTTPS PHP stream– so you’ll need the OpenSSL extension enabled for it to work. This entry was posted in Development and tagged development, PHP, twitter on 2012/01/08 by mike.